ID Lift, Grip and Pitch. Handling rolls of product is a never ending, labor-intensive chore for any facility that either produces or uses product stored on rolls. 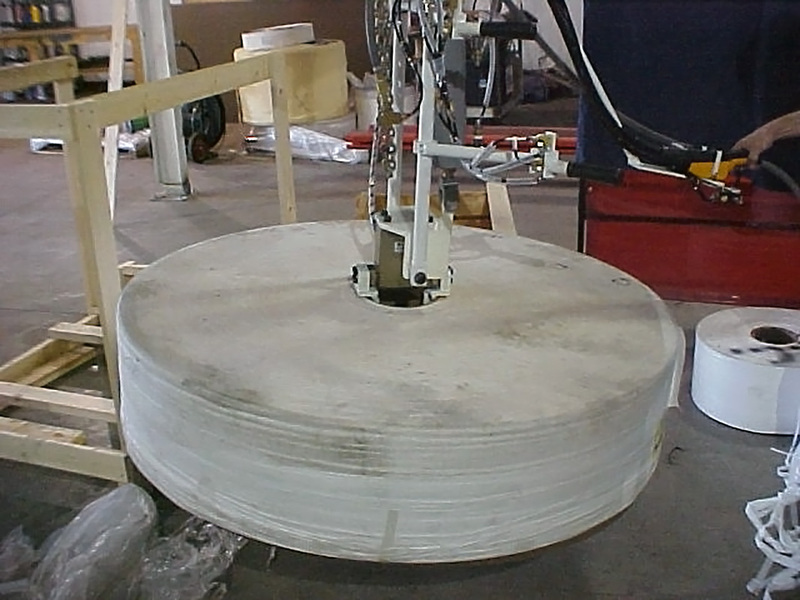 These rolls typically weigh from 35 to 80 pounds, weights light enough to be handled manually, but when multiplied by hundreds of repetitions per day become an ongoing safety issue. 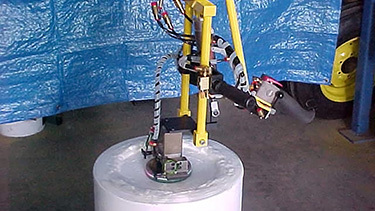 Ergonomic Partners Roll Handling Assist Device is the ideal assist for handling rolls of product from the roll's core. 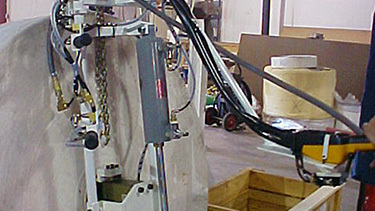 Directly increasing operator safety by eliminating the need for operators to bend over, lift, and re-orientate rolls time after time. Ideal for both palletizing and de-palletizing. 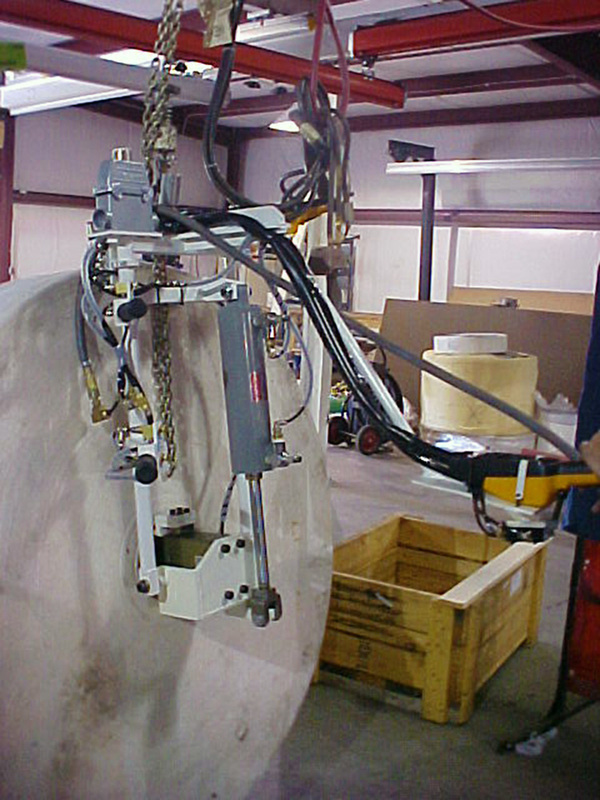 The Roll Lifting Device also improves product quality by keeping operators' hands off the product, which can damage, discolor, or drop the roll. 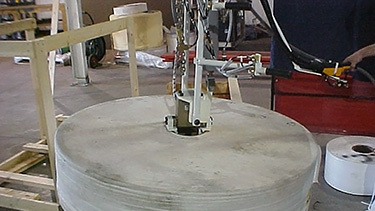 Once gripped the roll cannot be released until it is set down in the desired position, eliminating accidental drops. The operator always has two hands on the assist so it is incredibly simple and comfortable too. The right hand controls up/down motion and grip/release. The left hand controls pitch. The right hand location also offers the operator easy leverage to add or subtract pitch if needed. Another feature to increase ease of use is the multiple eyelets to suspend the Roll Assist. These let you match the balance of the tool to the roll weight so that it always pitches to the desired angle. The standard Ergonomic Partners roll handling assist tool is lightweight yet capable of manipulating rolls weighing up to 100 pounds in the model shown, larger capacity designs are available based on the application. 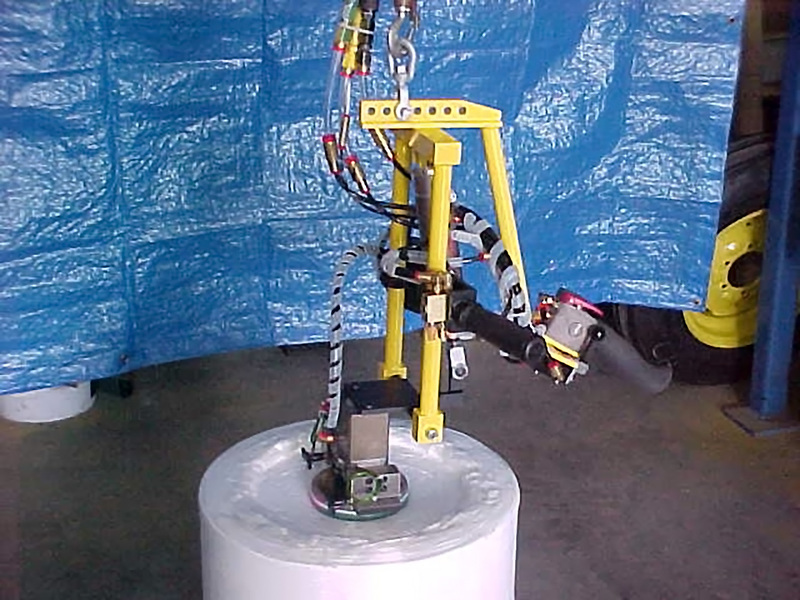 The assist tool will be incorporated into an overhead air balancer, hoist, or intelligent lifting device suspended from a crane or monorail designed to meet the needs of your work area. Since its inception, we have supplied over 200 of these devices to our customer. The keys to the success of the device are the ergonomic feel for the operator, speed, ruggedness, reliability, and the ability to change the core grip size without completely changing heads. Please contact Ergonomic Partners for more information in regards to this device. Ergonomic Partners serves clients from coast to coast, Canada, Mexico and especially focused in the states of Missouri, Illinois, Indiana, Kansas, Arkansas, Mississippi, Nebraska, Tennessee, Kentucky, Iowa, and Oklahoma.